On Sale Now! 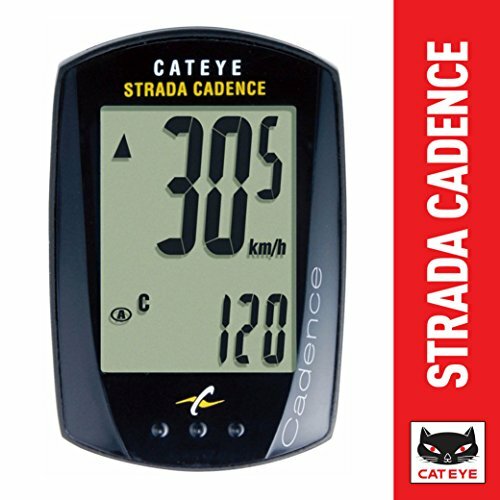 Save 2% on the CAT EYE CAT EYE - Strada Cadence Wired Bike Computer by CAT EYE at Joes V Cycle. MPN: FBA_CA240STRAC7. Hurry! Limited time offer. Offer valid only while supplies last. View More In Cycling Electronics. ALL YOUR FAVORITE STATS: Check your current, max, and average speed, total distance, two trip distances, elapsed time, pace arrow, clock, and cadence. SAVE YOUR MILES: With the option to manually set the odometer after a battery change, you don't have to lose those hard-earned miles. GO THE DISTANCE: With a battery that lasts up to two years, you can install it and forget about it. SWITCH BETWEEN BIKES: Riding home from work at 5 and hitting the trail at 6? Program both bikes into your CatEye computer to easily switch gears. AUTO START/STOP: Caught at a red light? Grabbing coffee? Don't sweat the small stops. Your CatEye computer knows when you've stopped and stops counting time and averaging speed. If you have any questions about this product by CAT EYE, contact us by completing and submitting the form below. If you are looking for a specif part number, please include it with your message.